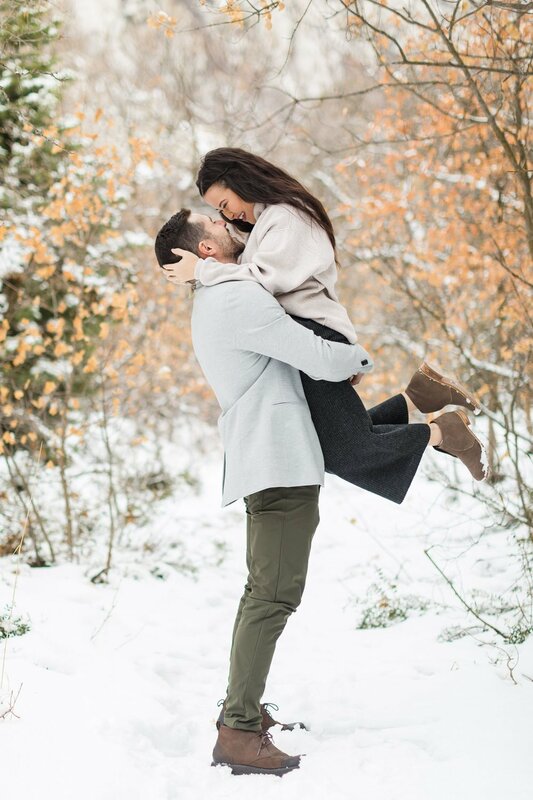 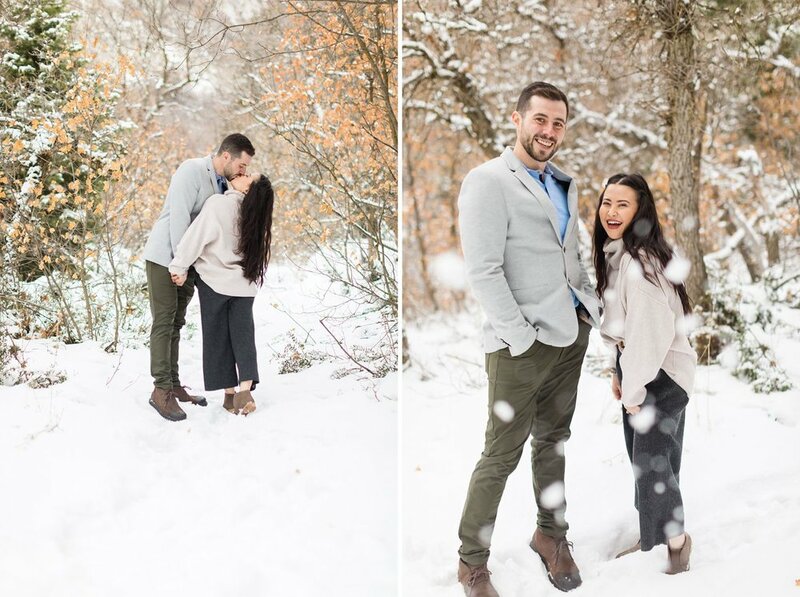 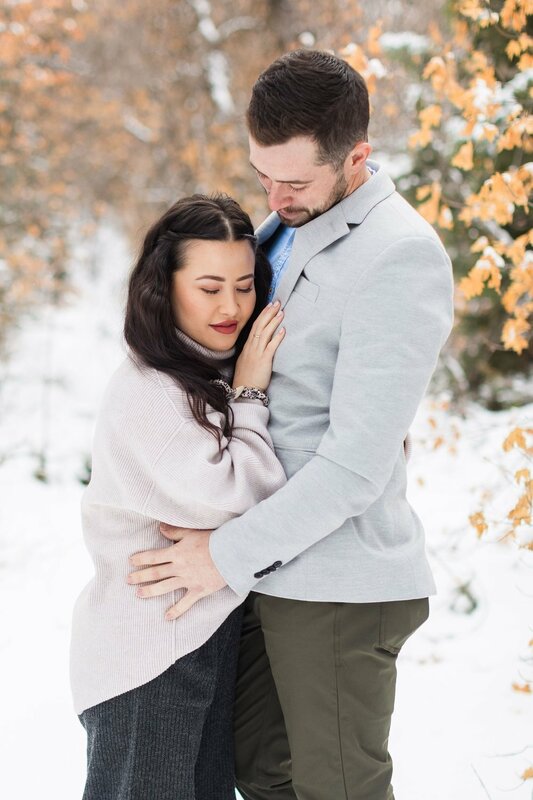 I’m back home in Salt Lake City, Utah for the holidays so I had to plan a quick winter shoot in the snow with this adorable couple! 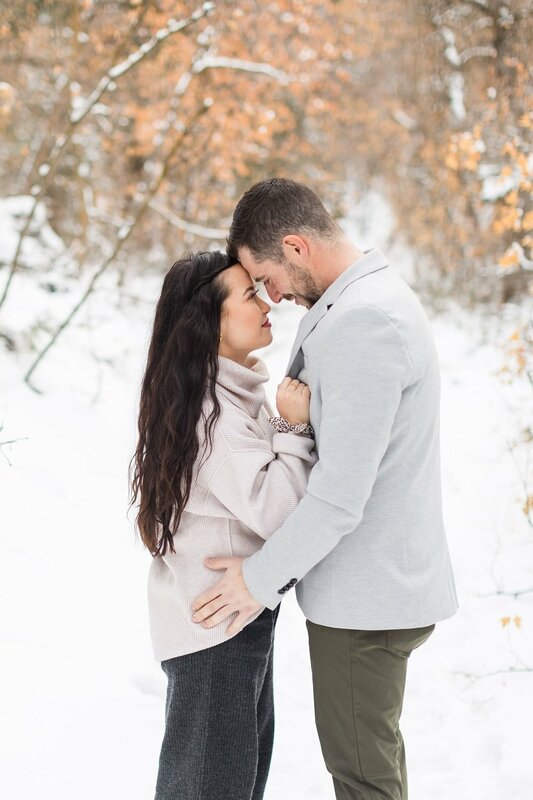 Jessica and Kelton are not only gorgeous but they are so sweet and great in front of the camera. 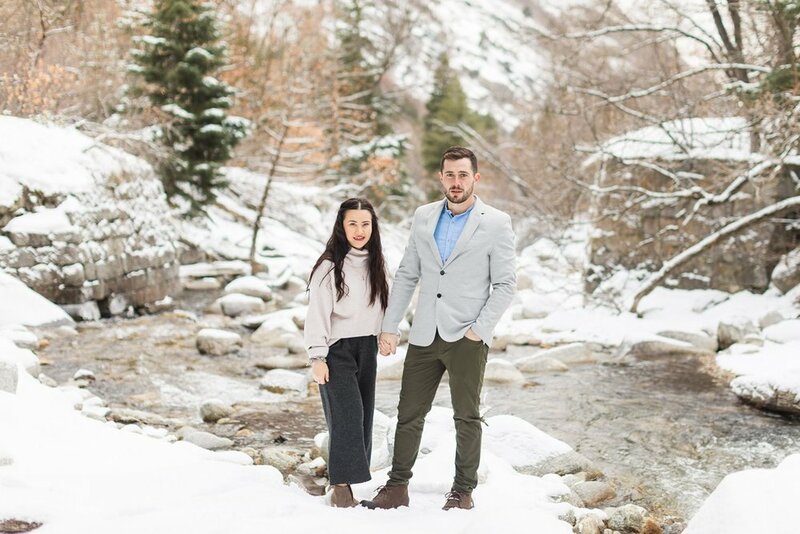 They drove up to my dad’s house in Little Cottonwood Canyon just a few miles down from the ski resorts. 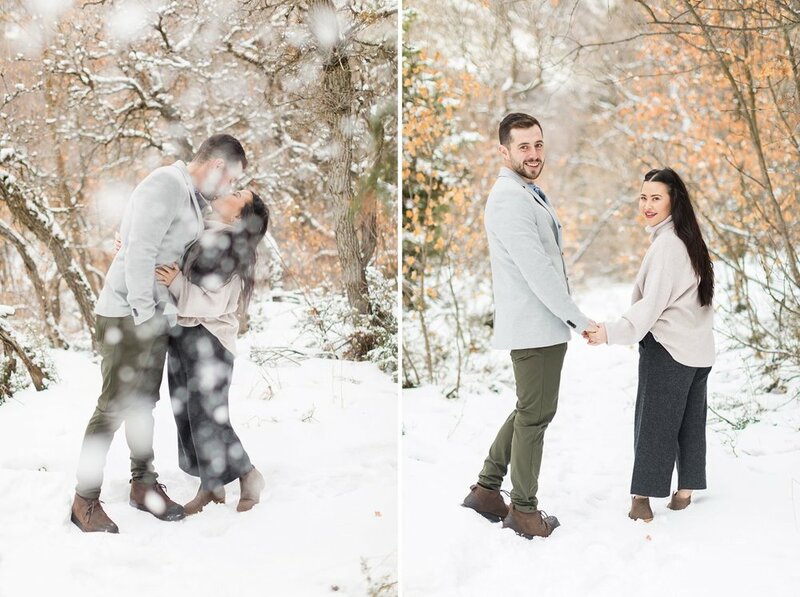 We hiked down the trail just outside our front yard and ventured into the snow for a quick winter portrait session. 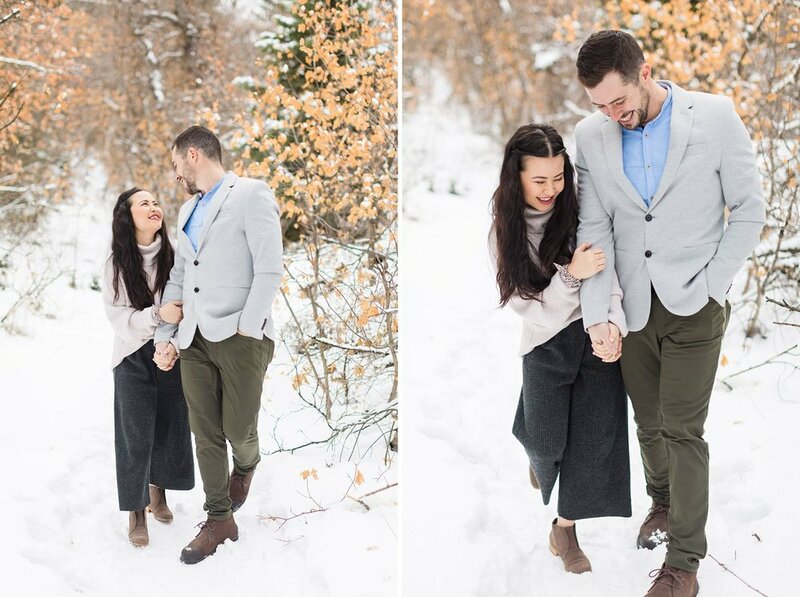 Enjoy this snowy portrait shoot in Little Cottonwood Canyon!